Recently edo-competition took delivery of a customer’s brand new Maserati MC12. They modified the engine, gearbox, suspension, exhaust and brakes. This car is a daily driver and has been driven over 5000 kilometers in 3 months. Here is a very cool video of this MC12 being driven around Hockenheim racetrack. 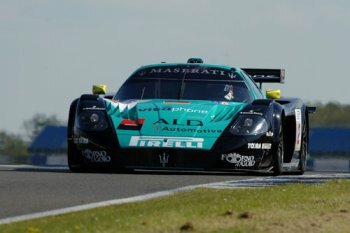 The Maserati MC12 continues its winning ways with a 1-2 finish at Oschersleben in Germany. The Vitaphone racing team beat out the competition from Aston Martin and Saleen at the end of three hours of hard racing. The Bartels-Bertolini car qualified on pole and never looked back, while the second MC12 driven by Davies and Biagi had more work ahead of them after a penalty moved them to start the race from the seventh row (14th position). Jamie Davies climbed 7 positions in one lap, and up to fourth place by the first pit-stop, on lap 46. By the second pit-stop on lap 90 the Maseratis had gained their first and second positions and cruised to the finish. 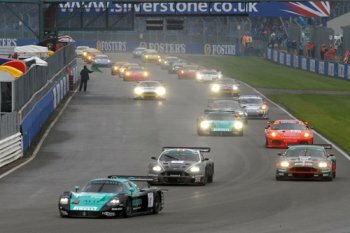 The 1-2 finish comes on the heels of first place success at Silverstone, and moves the Bartels-Bertolini car into first in drivers cup points, and Maserati into second for Manufacturers cup points. The next FIA-GT race takes place July 29-30 with the fascinating 24 hours of Spa Francorchamps (Belgium). Cutting edge nanotechnology, hidden in plain view. While the Maserati Quattroporte boasts many technological and engineering advancements to the Sport Saloon architecture, one might not expect these to include one of the first major uses of Nanocomposites in the engine bay. Maserati contracted for the major engine bay covers to be made by Rieter Automotive, molded from Ube nylon 6 nanocomposite, containing 2% nanoclay by weight. The use of nanoclay in the composite decreases weight, increases mechanical performance, especially at high temperatures, and features improved surface appearance vs. glass-reinforced nylons. Rieter Automotive has in fact been awarded the Ferrari Technology Award for the excellent cooperation between Ferrari/Maserati and Rieter Automotive Systems. Rieter Automotive Systems was recognized for its “sophisticated and efficient technology of soundproofing components and hot air housings”. Click here for more information about nanotechnology in use today. “The Maserati Quattroporte. Simply the Best of the Best. Again. Or should we say “still”? Robb Report doesn’t allow a car to contest its prized “Best of the Best” in consecutive years, so winning again in its first appearance since the 2004 award is as close to a repeat victory as possible. It’s something no car has accomplished until now, as the Quattroporte Sport GT has been named “Best of the Best” sedan, 2006. Click above, or contact us for more details. In classes of no more than 18 people, split into groups of four or five, Master Maserati studends discover the skid pad, slalom, high-speed avoidance maneuvers, and the racing circuit driving in Maserati’s Coupe and GranSport. They learn the racing line in the world’s incomparable Maserati Quattroporte, and they feel super high performance in the Maserati Trofeo Race car. Master Maserati offers a unique sense of accomplishment from conquering the legendary Road Atlanta race track in the superbly balanaced, ultra-responsive, 400bhp GranSport. Included in any applicable package are food, and accommodation at the luxurious Chateau Elan. Availability remains in twelve 2-day courses this year, priced at $3,400. Guests will find deluxe accomodations at the Chateau Elan Inn and Resort, with complimentary use of workout and spa facilities, complimentary winery tour and tasting, complimentary breakfast in the Versailles Restaurant. One night is included in the Two-Day Program. Chateau Elan is passionate about golf. So, it’s no wonder that both the 18-hole championship courses are considered some of the finest in Georgia. The Par 3, 9-hole walking course adjacent to the Inn, is ideal for a fresh air break in your racetrack schedule. Chateau Elan is also the site of the Legends, a private club golf course available to guests on a space-available basis. “Maserati is pleased to announce the production of the MC12 Corsa, a supercar build-to-order for a select number of Maserati clients. With a price tag exceeding $1million dollars, this car will inevitably draw comparison to Bugatti’s Veyron. The Veyron is a W16 quad turbo (think Bentley Continental GT + two more turbos) making 1001hp. While the Bugatti makes almost 250 more hp than the MC12, it also weighs 4200lbs, over 1500lbs more than the Maserati. The Veyron ends up with a weight:power ratio of 4.2:1, while the Maserati is only moving 3.36lbs per horsepower. 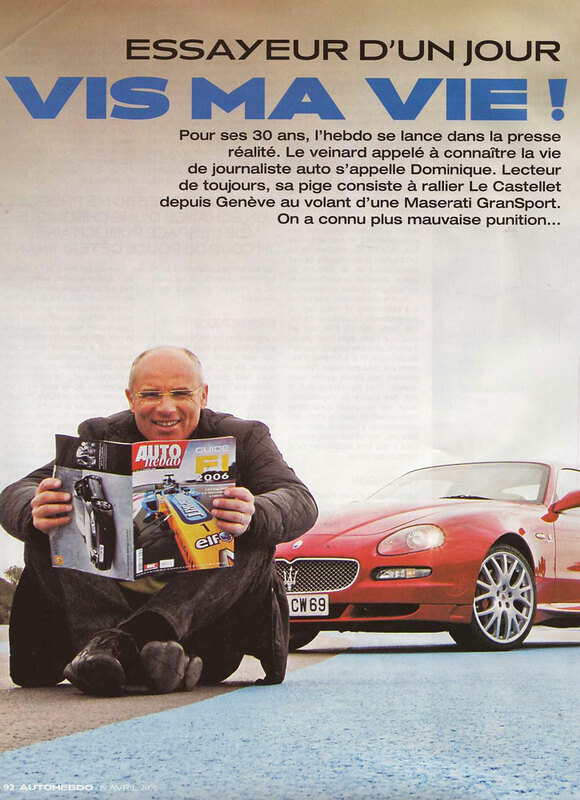 Put these two on a track side-by-side and the MC12 should prove to be king. Be one of the lucky dozen to own one of these MC12s and you will feel like a king. Click for the full story. This can’t be good news for the competition: Maserati MC12 driven by Michael Bartels and Andrea Bertolini wins first race of the season at Sebring, and takes home the prestigious ‘Tourist Trophy’. The Modenese car beat off Bert-Janis’ Saleen S7R and the Aston Martin DBR9 driven by Gollin-Babini. The morning started with a wet track and uncertain weather, but after switching first to intermediate tires and then to racing slicks, the MC12s combination of speed, luck, and smart pit planning meant an easy 1st place finish.